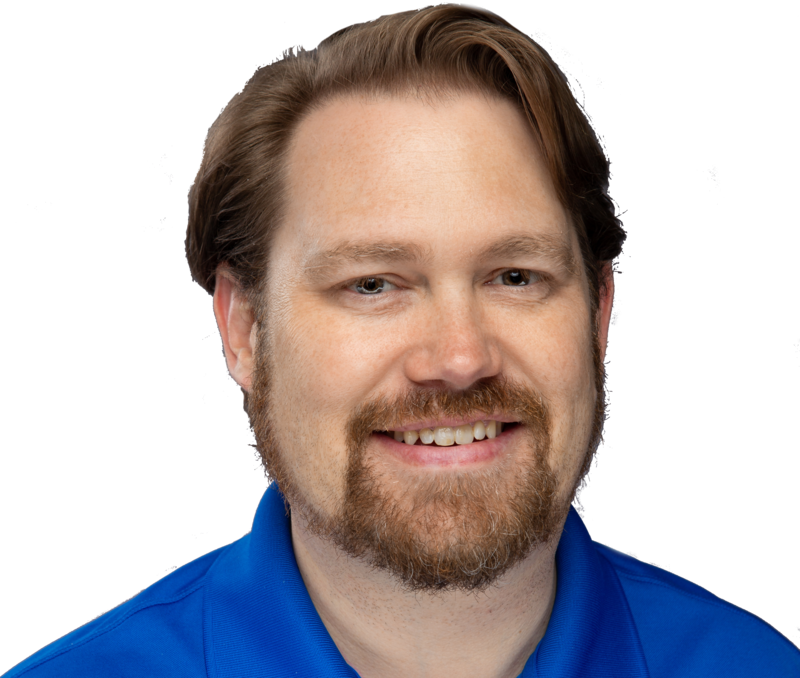 15+ Year Consultant, CTA and overall Citrix Expert DJ Eshelman wants to make you the next #CitrixHero. This free PDF has his Top 3 best practices – chosen because they are easy to fix but have the highest positive impact, saving your company money and making your users happier. This is not your typical Citrix Training. Learn quickly what you really need to know, without needing Citrix certifications. Avoid the overwhelm associated with Boot Camp training. 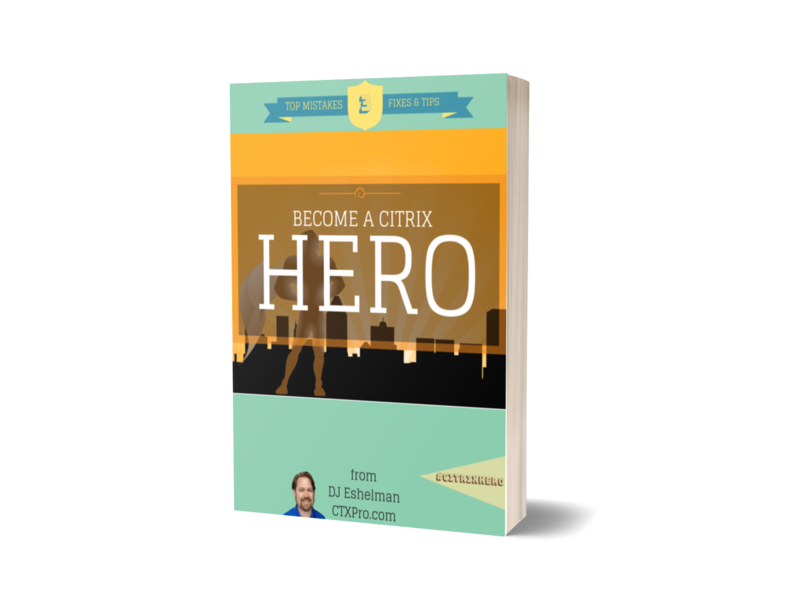 Consider this your real-world guide for Citrix Administrators and Engineers, yours for free, Citrix Hero! For the last few years, one of the most common things I am asked to do is to assess Citrix environments. It isn’t cheap to hire me for this task. But I have found a few patterns. Recommendations I make over and over again that are consistently missed. I decided to do something about it and let people know just the sort of things they should be addressing before anything else in their Citrix Virtual Apps and Desktop workspaces. So it may seem crazy for me to do this, but I’m giving you the Top 3 “Best Practices” that answer the three biggest Citrix mistakes I see people making. And I’m doing it for free! My free Citrix Book is a PDF download that we email to you. It contains the three things I believe make the biggest impact with the least effort- 3 relatively easy things you can do that a consultant would charge you several thousand dollars just to identify. It’s a real book – over 9000 words in these 3 chapters. I didn’t hold anything back; I want to make sure you are the most successful Citrix Administrator you can be. Or the most efficient Citrix Engineer… or the most respected Citrix Architect! Any way you slice it- I want you to be the next #CitrixHero! Here’s what I’m most excited about when you subscribe. A new consulting tip every month. Leading Practices change rapidly and new ways to better optimize or work around new challenges are being found all the time. I’ll keep you up to date. Sent to you directly. You won’t have to remember to visit my blog, it’ll just be there in your inbox! Reminders to implement. When I leave a bunch of recommendations at a client, especially when I’m there as “DJ with Citrix” often I’ll leave a large list of recommendations… that never get done. With this service, I can send you reminders to implement and get you help if you need it! Encouragement and Community. You’ll have the opportunity to join our community of people like you that are working on all of this together! And because we focus on only one recommendation per month, you’ll get way better peer support! So I’m hoping that this new way of doing things works for people. Of course I’ll still update the Blog monthly, but subscribing via email makes sure you see it. I’m doing this as a service via email because frankly if a blog were working, I wouldn’t be making these recommendations over and over again. But I’m also doing it in this way so you can get me feedback; so I can figure out how to serve you even better. I don’t have the backing of a company and I refuse to sell your information to anyone. If I find other people are also giving good information, I’ll be sure to inform you but I’ll always give you a way to opt out of those kind of messages if you want. Of course if I’m going to offer any helpful products to the public- I’m going to tell you about it first! I just ask that you bear with me and get me feedback if I’m confusing at all. I get excited about this stuff but I don’t have a marketing team (yet)! Note- DJ has worked with Citrix Consulting and others servicing hundreds of clients. His detailed new PDF ebook teaches you to find and fix the three most common mistakes DJ and others find during assessments typically costing customers over $15,000.00 to learn. This work is not endorsed or produced by Citrix Systems, Inc. Citrix is their trademark and we make no claims to it. Copyright 2018 and beyond by ctxpro.com – a member of the Eshelman Enterprises, Inc family.